Costs – Los Angeles, California trees require regular maintenance to keep the “City of Angels” blooming with green beauty. See what residents pay regularly for tree maintenance and every once in a while for tree removal and stump removal. FAQs – The city of Los Angeles can support many different kinds of shade, ornamental and fruit trees. 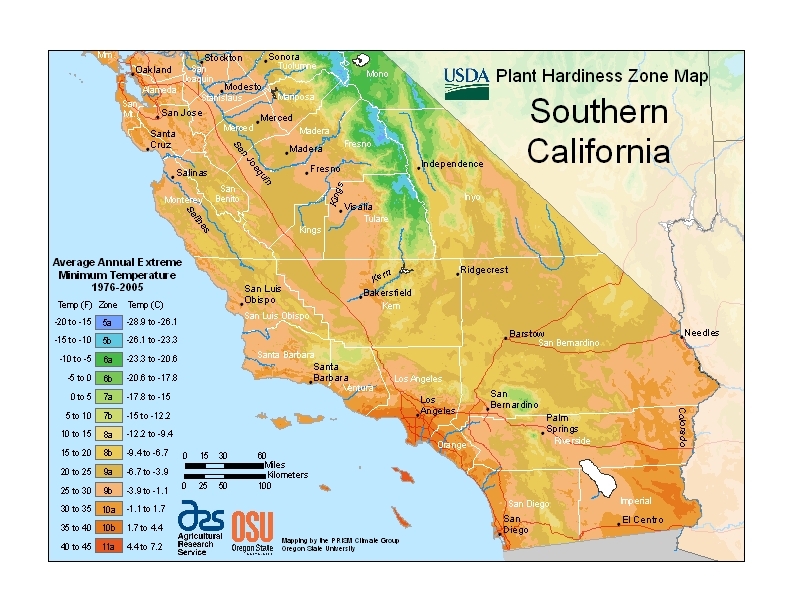 If you’re interested in planting a tree in LA, learn more about the plant hardiness zone of the city and surrounding areas, diseases to be aware of, what doesn’t thrive and more! Services – Need a second opinion before you go to the nursery? Listed below are all of the specialists in tree care in the Los Angeles area that you can speak to today. How Much Do Tree Services Cost in Los Angeles? The costs for tree removal vary per tree.Factors affecting the price include complex branch patterns and the height of the tree. Whenever you have a tree removed, it’s wise to have the stump removed at the same time. The average price will be $779, but it can vary between $647 and $911 depending on the complexity of the job. In 2013, stump grinding costs averaged from $82.55 to $139.75. Factors affecting the price include how hard the wood is to cut and circumference of the stump. With stump removal, the tree’s root system will also be removed, inhibiting regrowth, but it will cost closer to $500 or $600. Regular trimming, cutting and pruning by a professional tree service is one of the best ways to keep your landscaping healthy and looking good. There is a wide price range due to the nature of varying characteristics among species, but the average cost is $598. Some grow higher and may be difficult to reach while others may have intricate branch patterns or a lot of foliage. When preparing the price for trimming, cutting and pruning, general contractors consider the type of equipment needed, costs for labor, set-up time, removal process and travel time. The more complex the job, the more you’ll pay. The price range will be $502 to $694. Almost a decade ago, Mayor Antonio Villaraigosa created a city program to plant more than 1 million trees in Los Angeles. The goal is to create an urban city that is cooler, cleaner and healthier. To date, nearly 500,000 trees have been planted. Removing a tree on private property in Los Angeles does not require a permit. However, it is unlawful for anyone other than the director of parks and recreation to trim, cut, prune, burn, destroy or remove any tree, shrub or plant on any public property or public ground within the city of Los Angeles. Any firm, corporation or person who violates the law is guilty of a misdemeanor. Punishment is either a jail period up to 50 days or a fine up to $200. Both residents and businesses are prohibited from planting trees close to power lines. When a tree encumbers a power line, the city will remove it, whether it’s on public or private property. The California redwood has been the state’s tree since 1937. The state actually designated two redwoods with the honor, both the coast redwood (Sequoia sempervirens) and giant sequoia (Sequoiadendron giganteum). Just a few miles from Los Angeles, you can view these majestic trees in large groups at the Big Basin Redwoods State Park. Within the city itself, there are coastal redwoods that rise at least 200 feet tall, providing shade to its residents and standing as symbols of the state within one of its biggest cities. The fir pine is an outstanding shade tree that grows up to 70 feet, with a trunk diameter of 20 to 30 feet. With its small needle-like leaves, leaf drop is never a problem. In addition, the fir pine is free of disease and insects. The Brazilian pepper tree features dense foliage with dark green leaves and scarlet berries. Growing to a height of about 25 feet, it’s ideal for use as a lawn tree. 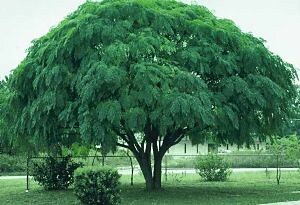 Another popular tree in Los Angeles is the Texas umbrella tree. It’s practically indispensable with the hot Los Angeles summer climate. It’s a fast-growing tree and tolerates a wide variety of soils. With the right combination of citrus, Mediterranean fruits and stone fruits, you could get fruit from your own backyard every month of the year. The soil and climate in Los Angeles is favorable for a wide variety of fruit trees, including pear, avocado, kumquat, apple, plum and lime. 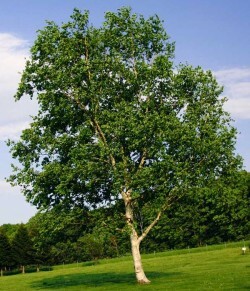 White birch (Betula papyrifera) trees have a tough time with the Los Angeles hot summers, even if they are irrigated. They are also difficult to maintain due to tree disease cause by the bronze birch borer. The Japanese birch (Betula mandschurica var. japonic) trees are also difficult to maintain as they have no natural immunity to the bronze birch borer. Sometimes, treatment by a professional arborist can save the tree. Brazilian pepper trees also have to be protected against ventricillium wilt disease.